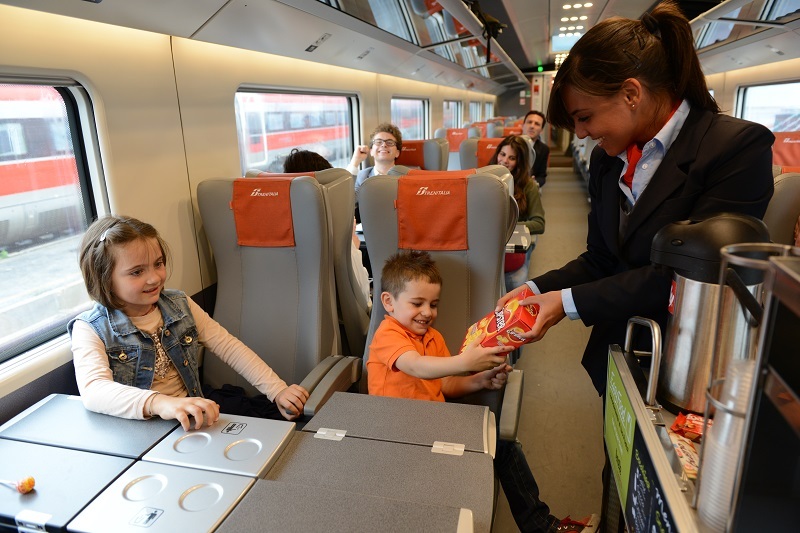 First class passes are the normal full adult fare, although there are discounts for children and groups staying together. In general, 1st class travel is more spacious and quieter than 2nd class travel. First class seats are usually larger with reclining backs and offer more legroom than 2nd class seats. In a typical 1st class train car there are usually 2 seats on 1 side of the aisle and 1 seat on the other. In compartment car seating, the cabins accommodate up to 6 passengers (instead of 8). Second class passes are an affordable way to travel Europe and is the way most Europeans themselves travel. Second class seating usually has 2 seats on either side of the aisle. In compartment car seating, 2nd class cabins accommodate up to 8 passengers while 2nd class sleepers have 2-3 beds (instead of 1). Couchettes are considered 2nd class travel, and accommodate 4-6 people. Sleeperettes, or reclining seats, are also included in this category. Youth passes are always 2nd class and are available only to passengers under the age of 26. Adults over 26 years of age must travel using an adult 1st class pass. Rail officials check passports and tickets prior to departure. Failure to comply will lead to confiscation of your pass and possible fines. If a Youth Pass holder wishes to travel with an adult where there is no 2nd class adult option, he/she may pay the difference in the fare and ride 1st class. An adult may ride 2nd class but he/she does not get a refund on the paid adult fare.